Thank you Victor & VK Wholesale for your excellent follow up and customer service. 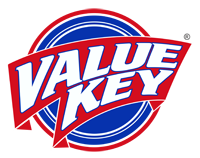 We had a large order and specifics around delivery and payment and I would recommend VK Wholesale with 5 stars. Placed our second order with VK Wholesale, and same as the first response and service are terrific. Will use them again and again. Product shipped quickly, however it was not all there. a quick email to them and problem was resolved. Great customer service, great prices. I have dealt with them for several years and highly recommend them. What surprised me most about the company is that my order was shipped out immediately. I did not have to wait and it was exactly as I ordered it. Products are great and I will reorder again very soon. This company is AWESOME!!! Even when they were out of stock of a product they did everything to compensate. I would recommend to any retail store or anyone. Thank you so much! !